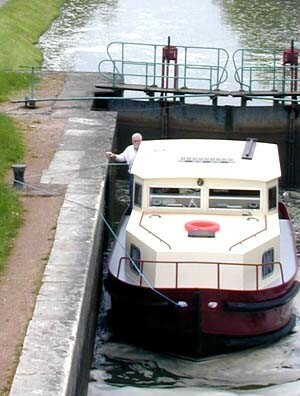 In early 2000 Tom and his wife Carol acted on a longtime desire to live in Europe and cruise the canals and rivers. Their first year was in Paris, on the Canal St Martin, then on the river Seine near Conflans, and later on the northern coast of Brittany. During these years they have traveled extensively along the waterways and visited France, Belgium, Germany, The Netherlands, Luxembourg, Switzerland, Italy and England. 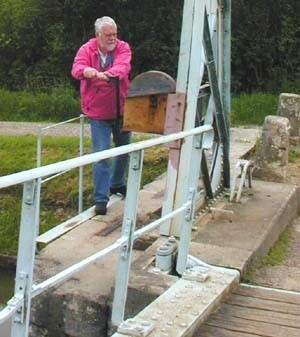 Tom Sommers is an American but found his true life interest in traveling and reseaching the canals and rivers of Europe. He began his canal-cruising avocation with a trip in 1966 aboard a classic wooden motorboat from Cayuga Lake, in the Finger Lakes of Central New York, through the New York State Barge Canal (Erie Canal) and the Oswego Canal to Lake Ontario and the St Lawrence River. Later canal trips included one across the length of the Erie Canal and down the Hudson River to the Statue of Liberty. After early retirement from an engineering career, Tom moved to coastal North Carolina where he boated on the IntraCoastal Waterway and worked as a boat broker and as an advertising sales representative for a boating magazine, visiting marine businesses from Virginia to Florida.